There’s a question I like to ask random people: where is the flaw in the argument that because ? I very rarely get a satisfactory response. Usually the answer is that “you’re not allowed to multiply both sides by zero.” But we can come up with a slightly subtler argument: because . Some just don’t answer, other will insist that its not allowed… To me it suggests something is deeply wrong with how most people understand algebra. They don’t know mathematics, they know voodoo-mathematics, a series of mysterious steps that result in their test being returned with a checkmark beside the question. Now it may seem that I’m being a pedant. After all, they know it isn’t true; what does it matter if they can’t tell me why? But even if we set aside the fact that it simply feels wrong to not understand why the math works, it has practical implications because there are cases where the mistake won’t be as overt as above. And then these people won’t see the mistake. For most practical purposes you’ll want to (as seen in above picture) restrict the domain of to not include some neighborhood of to make it a bounded function on . If the idea behind a normal derivative might be describe as the amount one needs to ad to move forward. If so, then the idea behind a geometric derivative is the amount one needs to multiply by. One thing one might wonder is whether we can use them to approximate functions, like we can use derivatives to approximate functions with Taylor series. A quick Google search didn’t reveal anything, but it isn’t too hard to figure out. 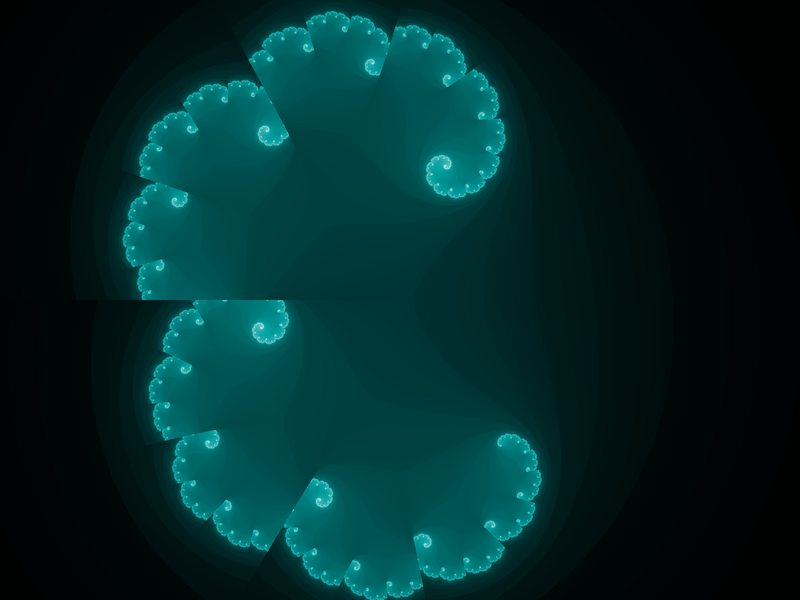 Here’s some variations of the Mandelbrot Set I’ve been looking at. 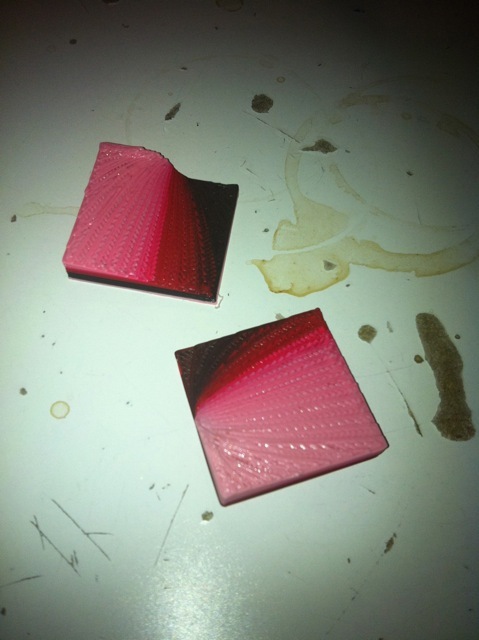 They aren’t terribly interesting from a mathematical perspective, but their pretty! Why are there mini sets in the Mandelbrot Set? One of the most interesting properties of the Mandelbrot Set is that we can find what appear to be miniature Julia Sets and mini Mandelbrot Sets. It’s easier to look at a different question first: why is it that the Julia sets associated with a point on a Mandelbrot set tend to be similar to that region of the Mandelbrot set? And the question is: why is the region of the Mandelbrot set around a point similar to a the Julia set where ? It’s obvious that at that point, the two functions are the same, but, given that we’re studying chaos it seems odd that the slight variations in the region around it wouldn’t produce a totally different appearance. That only goes to dividing by a hundred, but the influence is pretty negligible at the end. I could divide by more until the influence was arbitrarily negligible. 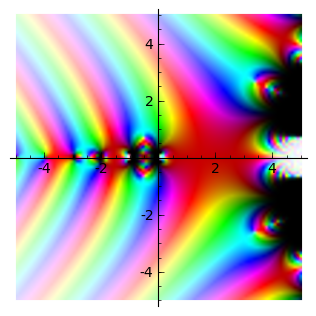 The second way of looking at this is that Julia sets of similar values tend to be similar and therefore the associated region of the Mandelbrot set is similar. Finally, we can look at the fact that the Mandelbrot set is and thus, provided a point is not right on the edge of a sudden change, we can construct a set containing it and no the change (ie. select an arbitrarily small neighbourhood such that the change is negligible, as said previously). The “mini-Julia sets” form when we get a miniature, often deformed, plane (let’s dub it a microplane, because making up terms is fun!). 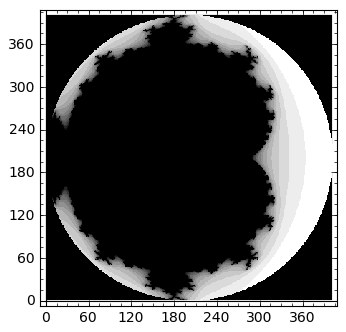 The microplane will have a root of the Mandelbrot set in its center. 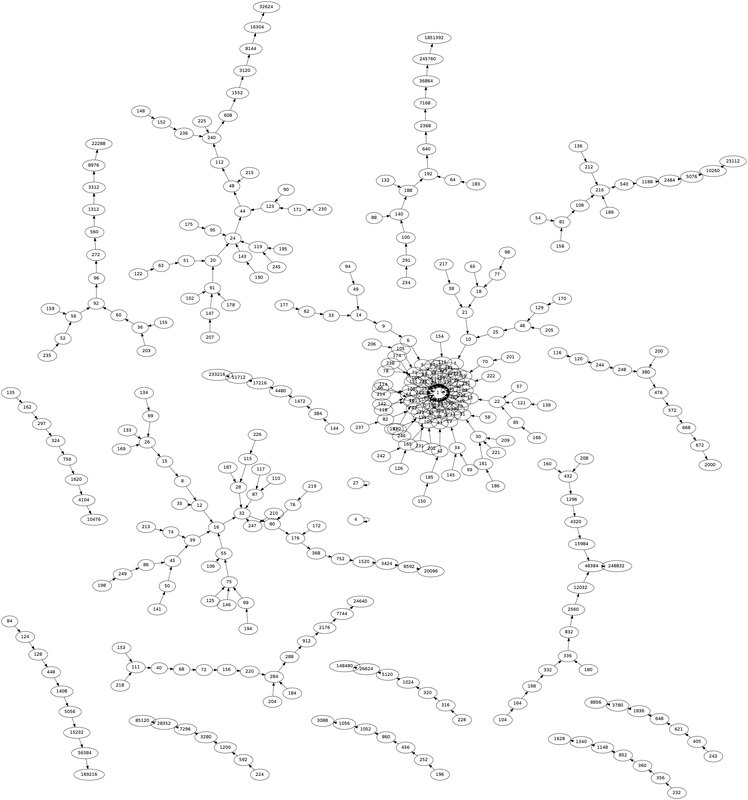 If the microplane is small enough, it may be contained in one of the previously described neighbourhoods in which the iterated function is essentially a Julia function and thus form what appears to be a Julia set, though it is different in some respects (eg. connected, joined to the Mandelbrot, et cetera). 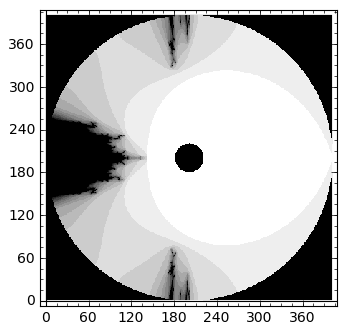 But the really odd things are the “mni Mandelbrot Sets”. What is going on with them? It’s completely different from the formation of the Mandelbrot Set! Finally, I’d like to put forward a theory: there is a natural propensity for an iterated function to form self-similarity. I’ve been messing around with these sort of things and discovering all sorts of neat stuff. I haven’t got far enough in Needham to really understand all of it, but here are some things I have found. You can also watch a high-quality video on youtube. At argument and magnitude of the output seem to be switched. They swirl into these circles and then swirl out such that the high magnitude and low magnitude ends are switched. Update: The reason why this happens is fairly straight forward. Consider and thus magnitude and argument switch as increases. There doesn’t seem to have been much done in the way of studying fractals of iterated functions involving gamma. At least nothing that I could find. This tends to happen in fractals as soon as I involved non-Integer powers. Why is this happening? 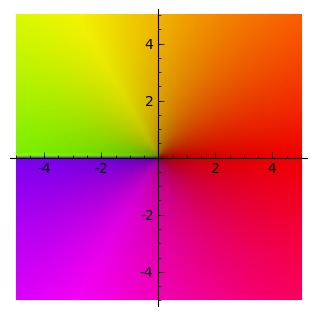 To understand this, we need to look at some basic complex analysis. 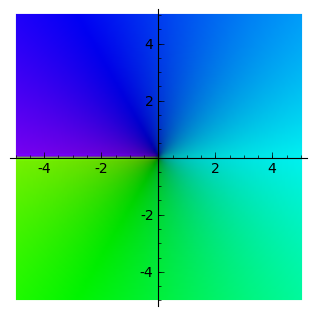 Recall that a complex number can be interpreted as a vector like . But we can also think if a vector in terms of direction and magnitude. 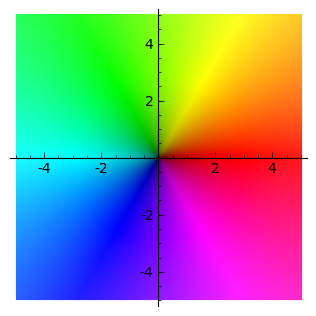 For our purposes, we will think of vectors as a magnitude and an angle from the positive portion of the real number line (sometimes called the `argument,’ we will just call it the angle). 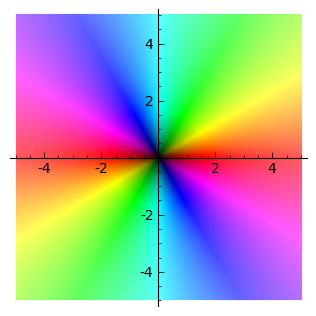 Complex numbers have the interesting property that when we multiply them their magnitudes multiply like normal numbers but their angles add. For example, has an angle of so when we multiply two of them we end up with a magnitude of and an angle of and thus . It’s fairly clear that for the inverse, for any value, there are two valid answers. 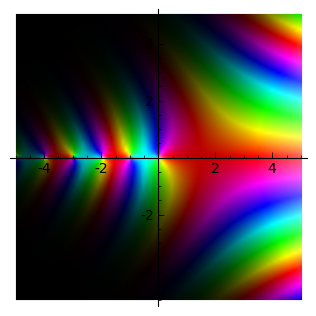 Notice that the angle of the ray of discontinuity is arbitrary, but its existence is inevitable. But it leads to some interesting questions. The intuitive reaction is (for me at least): part of the fractal is missing. You’re cutting apart the nice, smooth mutlifunction and thus are only seeing part of the fractal. Well, at iterations there possible ways to have cut this hypothetical super-fractal (as I will refer to it). If you stare at all the possibilities of the forming set you will notice some patterns and what look like reciprocals and other patterns. One may intuitively wish to add them to extract a single fractal, but this isn’t possible since they’d cancel… Perhaps adding the absolute values?